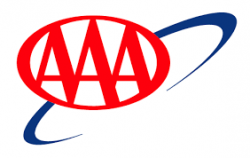 For over 100 years, we have been serving you and other AAA members on the road and around the world. Today, we offer our extensive services to you on the internet. Now, more than ever, AAA is able to help you around the clock with all your Cars & Driving, Travel, Insurance, Banking and Loan needs. As an AAA member, you've joined over 50 million people across the U.S. and Canada who enjoy special services, valuable savings, and priceless security.